I had only met with these women for a couple of hours a year ago. 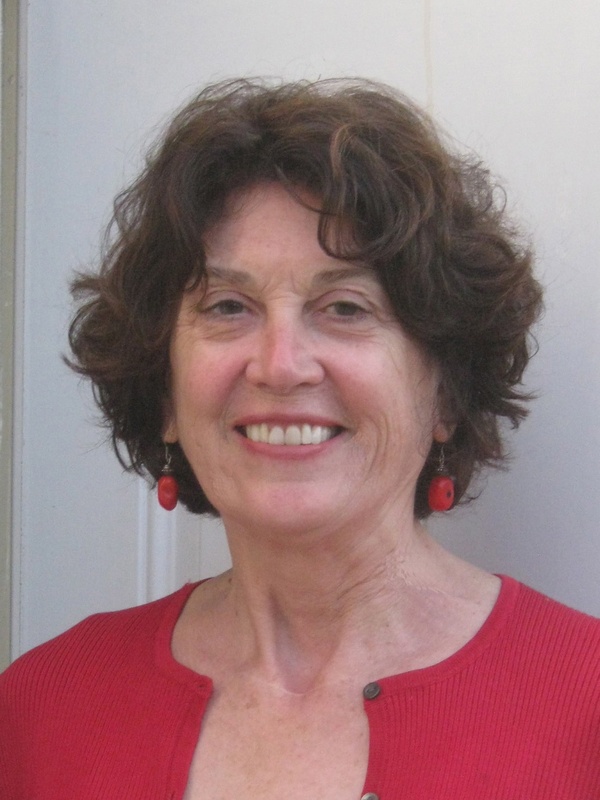 Long before the first conversation with them via our future project liaison Anne had occurred. Now we would find out if our cumbersome communications were truly on the same wave length. First task: meet with their chosen executive committee, a group of women made up of their current chair, Beatrice; their founder and project director, Judith; their treasurer, Monica; their facilitator and last year’s chair, Proscovia; and our liaison Anne who would also serve as our translator. After some sharing, we got down to business. First we reviewed the budget, which this group had proposed and there were few questions. While I had hoped to go over the proposed Memorandum of Understanding, we quickly realized confusion existed around a core piece of the project design. All were in complete agreement that a major portion of the revenues would be used to pay for educational expenses, especially for the girls. Our figures were incorrect however on those costs. While public education is available, by the time children reach secondary school level, the feelings are strong that to get an adequate education children must go to one of the private alternatives: Catholic or Anglican. This involved uniforms, textbooks, fees, transportation, and often boarding. These costs are significant enough to use up all the revenues, and our contributors are committed to this project becoming self-sustaining within 5 years. That requires that a portion of the revenues be used for capital improvement. For example, that instead of U.S. Partners paying for renting plows and oxen in Year 2, that a portion of Year 1’s revenues would go for the purchase of plows and oxen so that the women could actually go in to the rental business themselves by loaning out the use of their plow and oxen to other farmers in the area. While the agreement we would sign the next day protects the use of revenues by the women to increase their responsibility for making capital improvements, it also encourages the support of girls’ educational expenses which is so important to KRMA and to us here at USPartners. By the end of the meeting Lindsey and I realized we needed more than the week we were in the village to do all the work we believed would be most helpful. We had identified some areas which would need attending on our next trip. However, we felt good about the talents and abilities of KRMA’s leadership team and were encouraged that we had begun the slow process of building an honest and open relationship with each other. Next on our agenda: Attending the weekly KRMA savings and loan meeting for the entire KRMA group, and reviewing in two languages the Memorandum of Understanding — paragraph by paragraph. Before we could see anything in the beams of our van’s headlights, we heard the women ululating in magnificent high trills which I cannot duplicate despite my best efforts. Then there, right in front of us, the unembodied white flags waving in the darkness, and finally our vehicle’s high beams shone on women, dancing and waving, welcoming us, finally. We had arrived. 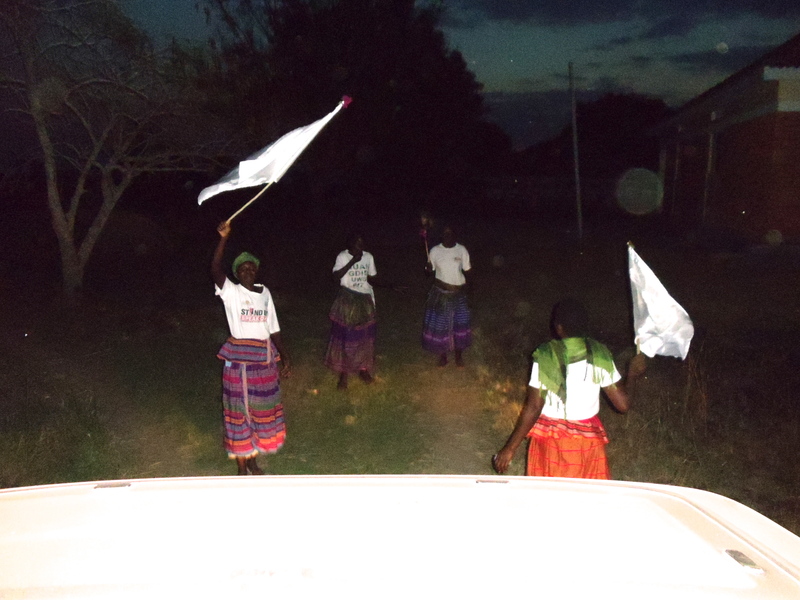 Our driver, unknown to me, knew the women had gathered in mid-afternoon, to prepare their welcome. They had practiced their dances and songs, and as the hours went by, may have wondered what their men and children would say when they didn’t return home before dark to prepare the evening meal. But the 7 hour trip to the village from Kampala had lengthened into 10 due to unexpected car trouble and the compound was dark with just a sliver of silver light in the distance as the high beams on the van swept over the narrow path which served as the road at this point. These jubilant women startled and awed me as I realized they were calling my name. The group I had met almost exactly a year ago were so solemn, weighed down by hardship and memories of a past that had come close to crippling this part of Uganda. Veronica had told me that the project had instilled hope; that my returning inspired expanded visions of a too predictable future. But I suppose I had dismissed her words as the kind of thing one says to a friend who has undertaken such an endeavor as this project represented. But here they were, singing, dancing, and welcoming me and my friend and colleague from the States, Lindsey. Veronica’s compound had a generator which was used for a couple of hours each evening when she had visitors to her tribal home, and now the yard in front of the building where we would be housed allowed us to see these women whose names I did not yet know, but whose homes I would visit before completing this trip. Lindsey and I alternated between sitting in chairs provided for us, and joining the dancing. But dancing was not the only activity for this welcoming ceremony. There were prayers of thanksgiving. 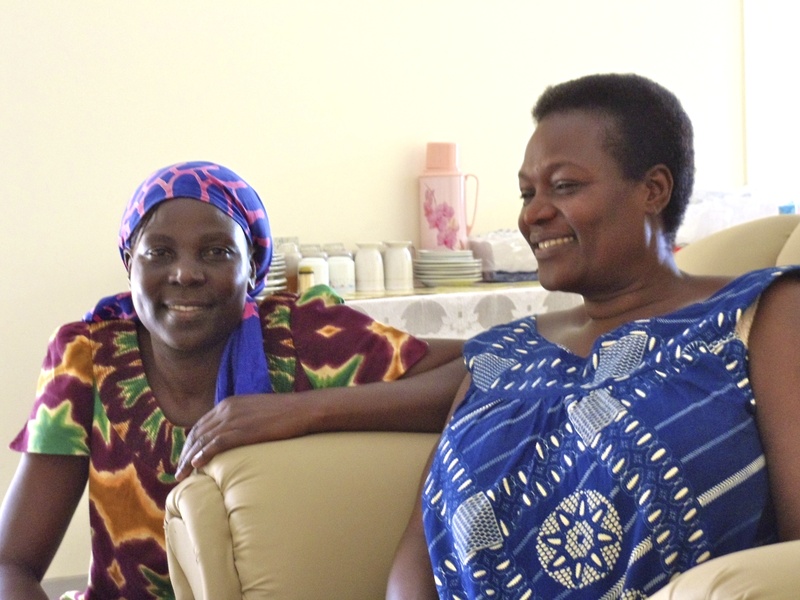 A celebration of Veronica’s return to her home village from her work travels in Sudan and South Sudan. More dancing and song. And then the welcoming gifts. Two lovely young goats were led out. One for me, and one for Lindsey. There is an expected action in receiving gifts, to let the giver know you find the gift acceptable, that is, to touch the proffered gift. Lindsey and I had no hesitation in stroking the beautiful animals. We both understood the value of all livestock in the lives of these women. We were honored. Overwhelmed really. And this was only the first night. 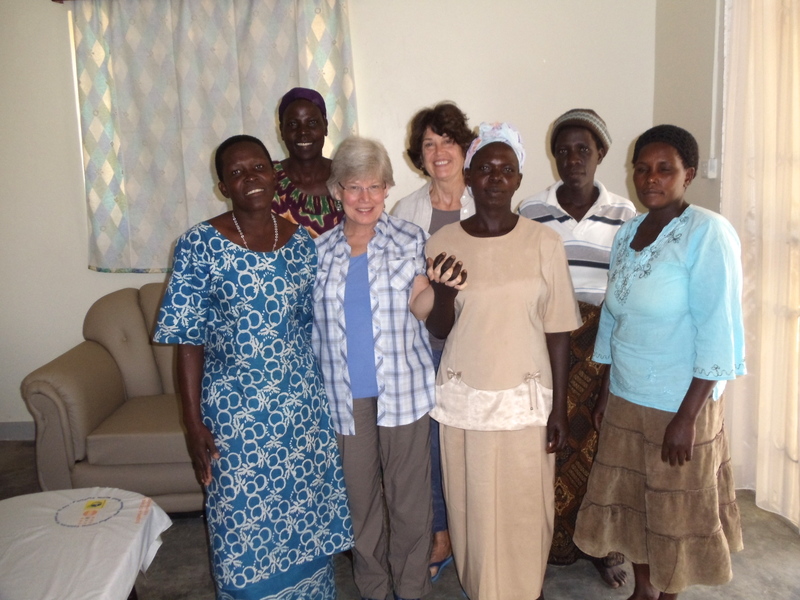 When I left Uganda last year, I had the glimmer of an idea about wanting to support the women farmers of Kobulubulu. But one thing I knew for sure: I am not a loner. I do my best work when it is not just a solo effort, but a collaborative one. And this enterprise, most fortunately, from its earliest days, has had the enthusiastic competence and superlative dedication of one Lindsey Holaday. “For me, the trip to Kobulubulu is an echo from my past as well as a vision of the future. I lived in Tanzania for a few years in the early 1970’s and instantly fell under the spell of Africa, as so many people do. While I traveled a good deal in Tanzania and Kenya, Uganda was ruled by Idi Amin and the country was unsettled enough to dissuade me from visiting there. 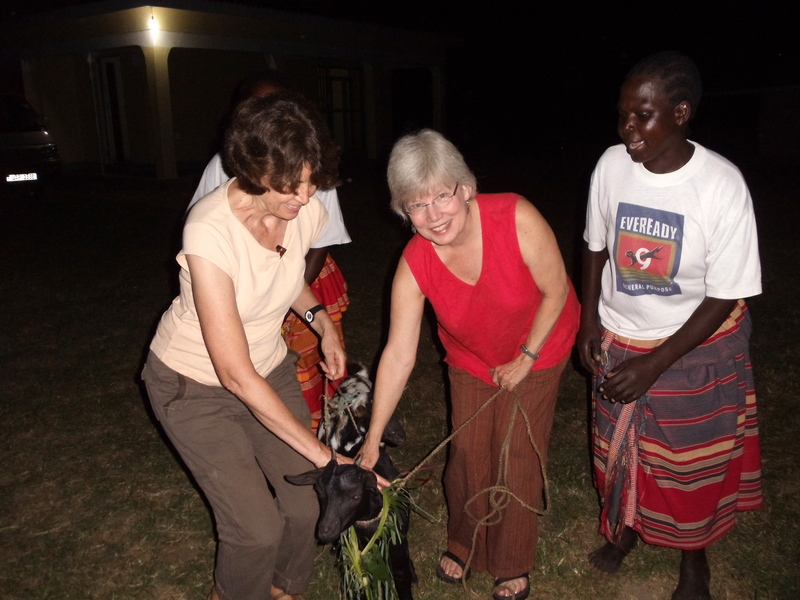 When I met Lois I was eager to become involved in the project and excited about going at last to Uganda, the “Pearl of Africa”, to meet the women of KRMA. I am confident in the business model we have developed. It is based on principles of self-discipline, perseverance and long-term goal-setting, which the women of KRMA have already amply demonstrated. At a more emotional level, I am inspired by the women we are working with. They have established a sense of community and mutual encouragement that allows them to help each other succeed individually – as family members do for each other – while maintaining a group ethos. “My great aunt, my grandmother, my aunts and my mother were all involved in helping women get the vote and gain other rights in this country. So I was brought up to believe it is our responsibility to help each other (other women) improve our lives however we can. I know that we will learn a great deal from one another. Signing off from gambolinggrace until I next have internet, I’ll leave it to you, the readers of this blog, to find out what that particular phrase used by my colleague Lindsey Holaday means. Thank you all for supporting me and Lindsey in spirit as we board the plane for Uganda! Over 50 families have contributed so far to the cassava agricultural project we are sponsoring for the women farmers of Kobulubulu, Uganda! We leave in less than two weeks and I will post whenever internet access permits the progress of our trip. We’ve raised enough for Stage 1 which includes purchase of 20 acres worth of cassava “stems,” planting and weeding. Our first task when we arrive in the capital of Kampala will be the purchase of two bicycles to take with us to the not-easily accessible village of Kobubulu. These are for the two women selected by KRMA to be project monitors. They will ride around and check on the progress of the agricultural project. As you may recall from earlier posts, each of the 20 KRMA members will be clearing and planting cassava on one acre of land for the group’s benefit. Many months from now, the first proceeds of sale will be used to keep the children in school by paying for their fees. Then the remaining proceeds will be reinvested in years 2 and 3 to reduce the amount needed from our supporters here in the U.S. (KRMA-U.S. Partners, Ltd.). 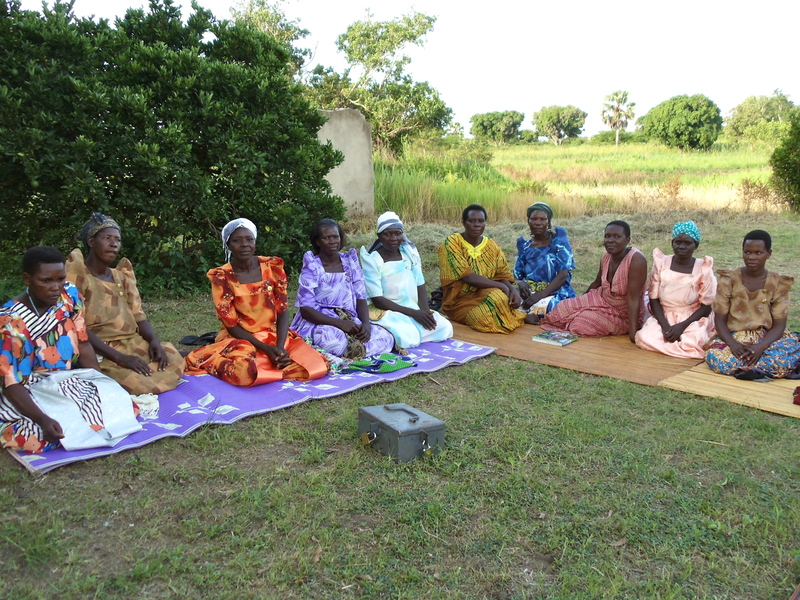 Our hope is that in less than 5 years the women’s project will be entirely sustainable and we can move on, with the business expertise we have all acquired, to help another women’s cooperative in Eastern Uganda. Below is a picture from our last trip when Anne Abago, who has agreed to be our volunteer on-site project manager, welcomed her sister, our host Veronica Eragu, to the family compound. I will not be surprised if we once again receive this lovely welcoming of cool water poured over our hands when we arrive in Kobulubulu. I look forward to sitting around and having conversations with these two fascinating women who love the roots they have in the farms of Kobulubulu. 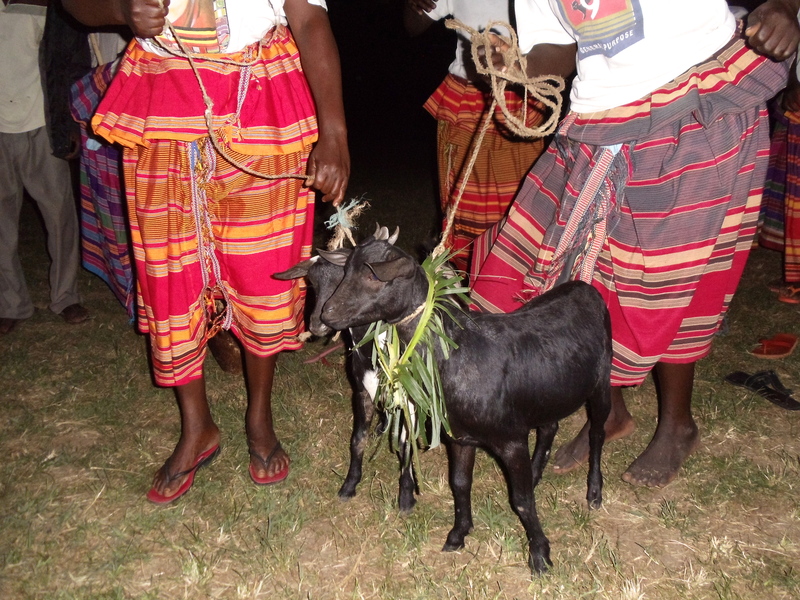 They graciously interpret our western ways to the women of KRMA and help us understand the traditions and values of Kobulubulu. The funds we will take with us on this trip will be deposited in the newly opened bank account for the 20 women. Again, as you may recall, up to this point they have kept their savings in a lockbox with three locks, the keys kept by three different women. Now they are moving to an account requiring 3 signatories who must agree that every withdrawal is in accordance with the Memorandum of Understanding we will be signing together. The terms of the Memorandum of Agreement outlines our respective tasks and expectations. Already, the women have communicated to us a few of the issues of greatest importance to them: Respect, Transparency, Accountability, God Fearing, Social and Economic Development. I will be asking questions and listening hard to learn what it is about each of these issues that is important to them, and passing that along in a post on this site. The Signing Ceremony is shaping up to be quite an event. I have been told that certain officials in the District are being invited. I believe the women will bring some symbols of their history in the refugee camps and remembrances of how far they have come. Perhaps we will share stories and dream together about where we all hope to be in the future. I will be bringing a few gifts of my own from the U.S. and will post about those, with photos, in the weeks to come. Before ending today’s post I want to add one more word about our wonderful contributors. Whatever the amount contributed, each one is very special to us here at KRMA-U.S. Partners, Ltd. I wish you could see the significant difference that even a small contribution can make in the lives of these women, their children, and this community. And, following the model of those who have gone before us in the world of fundraising, we offer a special perk for those who contribute $250 or more: Your very own Kobulubulu chicken to name and cherish. So far we have 12 families who have contributed $250 or more and will receive a photo of their chicken in the coming weeks. 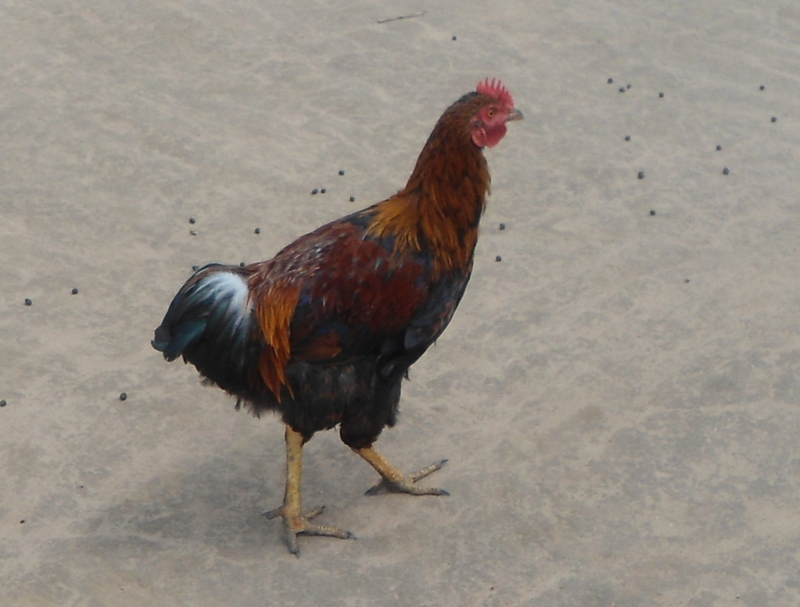 We will be posting a photo on this blog of each one, and the name the chicken has received. 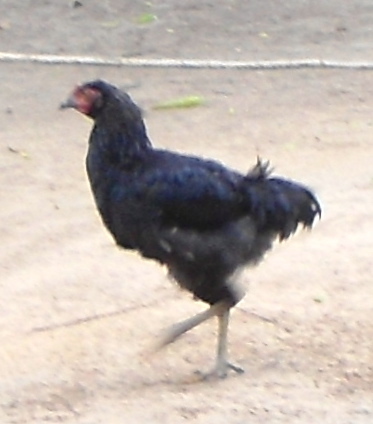 Please let me know if you would like to have your very own Kobulubulu chicken to name! I will be posting updates at this site whenever I have internet access. Since one portion of the funds raised will be used to purchase a laptop and portable modem, perhaps I will be able to post directly from Kobulubulu. That would truly be exciting for me. Until then . . . So now you know where the KRMA came from. 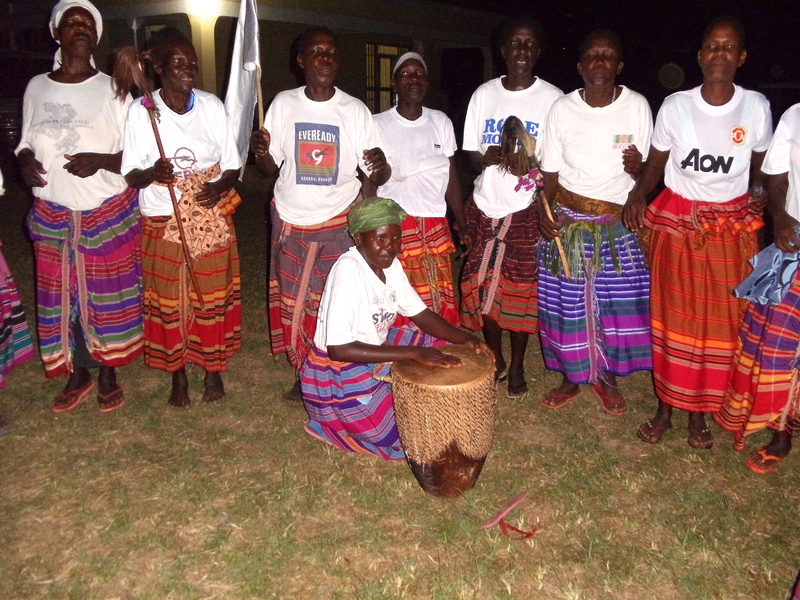 The women in Kobulubulu would always refer to themselves by their entire name: Kobulubulu Ribere me Mon Association. But I had a little trouble rolling that off my tongue, so I asked if I could refer to them as KRMA. They had a meeting about this and decided they liked it very much and have been calling themselves KRMA ever since I left. This was my first lesson in the power of questions with this group of wonderful women. I asked a question out of my own inability to pronounce their language. They took my question seriously, responded to it, and adopted it as their own identity. I have become more circumspect in my questions, recognizing that I had never realized my request would warrant such care-filled consideration. We are starting small. Adding twenty acres of agricultural development may seem to us a large undertaking, but it is a project that allows each of the 20 members of KRMA to develop one additional acre for which she will be accountable to the entire collective. Moreover, it is not my idea. I asked for a project that involved work they already knew how to do, that they believed would be successful, that would have a chance of producing enough profit to pay their children’s school fees and reinvest in the project so that it could become self-sufficient within five years. They worked hard to develop this proposal. Now it is my job to see if people here in the U.S. will help me to help them make it happen. My job is small in the large scheme of things. We only need to raise $12,000 to get this entire year’s work done. And yet right now, this undertaking feels huge to me. I am not a professional fund-raiser. I’ve only raised 10% of what we need to get this project off the ground (although 50% of what I need to take with me at the end of July so they can begin Stage 1). On the other hand, 7 wonderful people have contributed thus far, and several more have let me know they intend to help. This first year, when we can’t apply for grant money because we have no track record, and haven’t yet cleared our 501c3 status will be our toughest I figure. But as I gaze at the photo above, I remember the joy of these women who have been through so much. How can I remain discouraged in the face of their courage, in the face of their joy? I can’t. 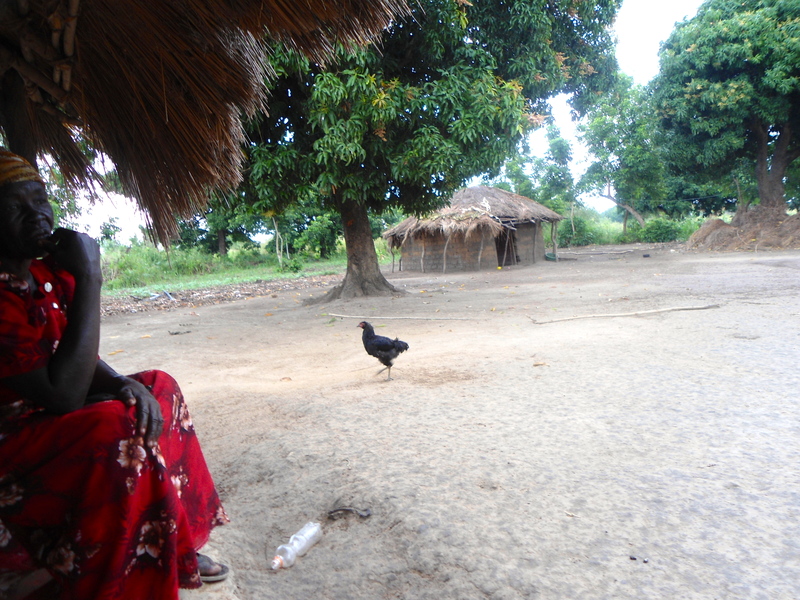 And so I give thanks to each and every person who has taken a moment to read about the women of Kobulubulu. Interested in contributing? Contact me on this page or by e-mail. The learning curve is steep for those of us not technologically inclined, but I am determined. I’m trying to figure out LinkedIn. I’m learning about fundraising, and sending out e-mails that won’t end up in spam folders. Why all this effort? 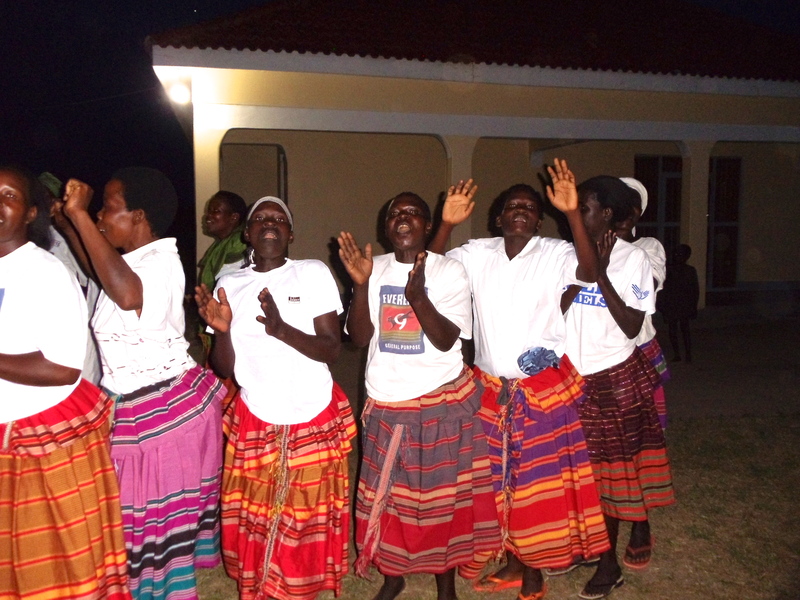 My motivation is 20 women in Kobulubulu, Uganda. I want the world to know about them. I want you to know about them. I want to share their determination to improve their own lives, and those of their children and the community. Each week the KRMA women bring their 50 cents to the lockbox with three keyed locks, each retained by one of the women, and a fourth woman keeping the box in-between their meetings. At the end of the year, they paid their children’s school fees, and then they start all over. They want to get ahead, and show some profit, but resources are scarce in eastern Uganda and they have been unable to do so. That’s where you and I come in. They have developed a proposal that builds on what they know best: small farming. They have chosen a product that survives their climate and has a known market: cassava, a root vegetable that doesn’t rot in the ground. They have chosen two supervisors who, once you and I have provided the cost of bicycles, will check up on those who have received help in this agricultural project. Take a risk on this ground level community- based project. I will be taking the funds with me at the end of July. Although we are incorporated as a Maryland non-profit, we do not yet have tax deductible status. If we get it before the end of 2013 I’ll let you know if you provide me an e-mail. Please read on and help me help these women. Questions? Post them here and I’ll get back to you. In their book Half the Sky, authors Kristof and WuDunn note that what progress Bangladesh has made against its abject poverty can be attributed to its commitment to the education of girls and women. 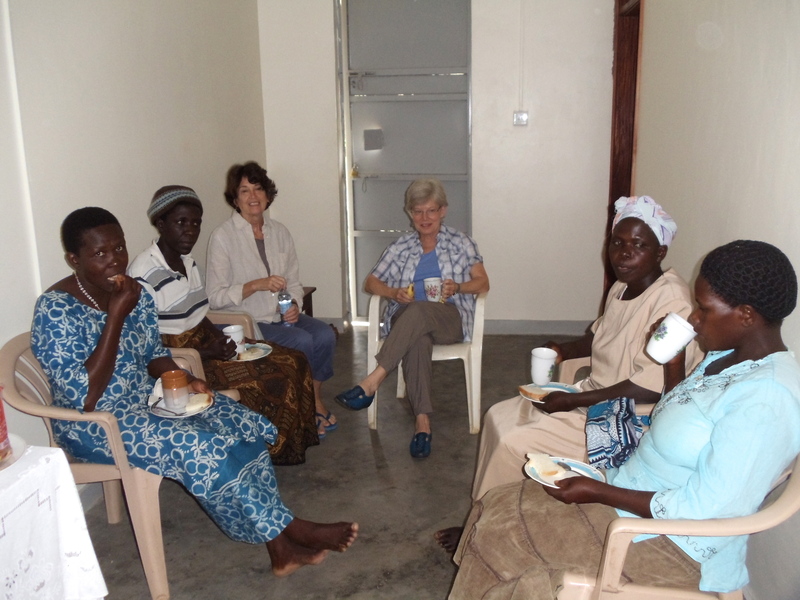 A similar commitment is evident in the first joint project between the 20 women of Kobulubulu, Uganda and a support group I have started here in the D.C. area. 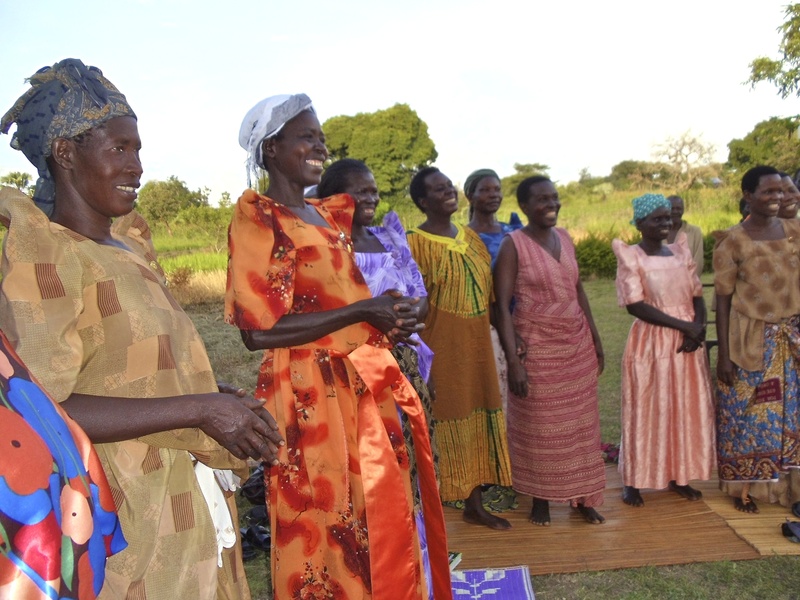 Several years ago, the founders of this women’s village savings group survived the rampage of Kony’s Lord’s Resistance Army by discovering if they cooperatively worked and shared resources that they could avoid starvation and care for their children. Now, these women and others who have joined with them are ready to move from lives of subsistence to a cooperative approach to commercial farming which will help improve their standard of living, and those of their entire community. These women need capital investment to make this goal a reality, and have pledged to dedicate the first profits of our joint project to payment of school fees to ensure that their daughters and sons can remain in school through secondary level and beyond. We invite you to get in on the ground floor of this exciting partnership. It all began last summer when Lois Stovall and husband David Smock spent time listening and learning about the established patterns of disciplined savings and group acquisition of livestock by the women known cooperatively as KRMA. This is not a micro-financing effort. There are no loans or payback. Instead, the “payback” will be incremental self-sufficiency and avoidance of dependency on foreign aid. Funds will be an investment matched by time and sweat equity. The women will each expand their previously uncultivated land allotment (uncultivated due to lack of resources) by one acre, for a total of 20 acres. They will raise a cassava crop that has an established market. Our capital funds will pay for cassava plants, plowing, weeding, transport to market, and transit storage. Capacity building and accountability will be enabled through the purchase of a portable modem and computer for the on-site project manager, and two bicycles for KRMA’s monitoring team. The project’s goals include re-investment of all profits over and above funds needed for school fees into KRMA. This will decrease the amount needed from the U.S. each year so that within 5 years the cassava project will be self-sufficient. This project design counters the dangers of dependency feared by recipients of foreign aid. 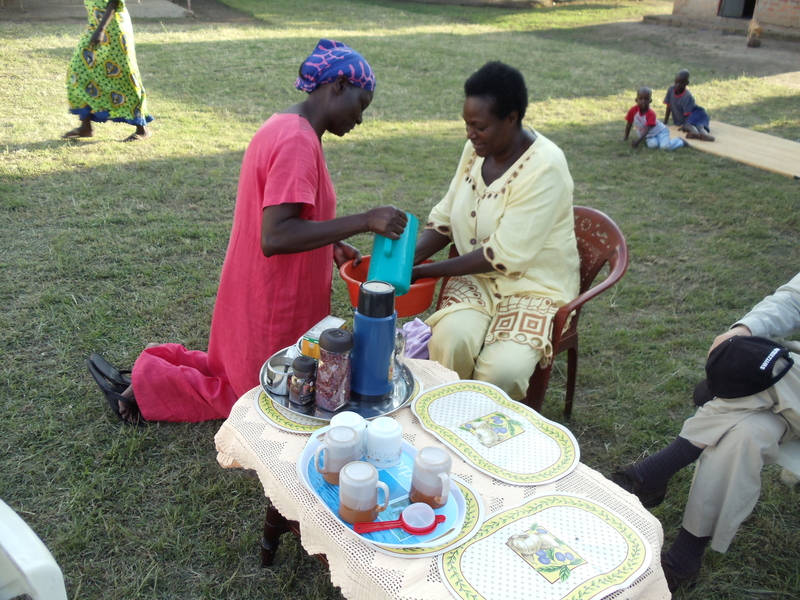 It has the added benefit of equipping us as a support group to partner with the women of KRMA to repeat what we have learned to assist another village’s women’s cooperative in eastern Uganda. I will be returning to Uganda (paying my own way, not out of funds raised) in July 2013 to hand-carry the raised funds and to ensure that accountability and reporting structures are in place to maximize the chances of success for this relation-based enterprise. This is an all-volunteer organization. No funds will be used for compensation of our members. We are applying for 501(c) (3) status but the funds we raise are not tax-deductible at this point. If you are interested in knowing more please post on this blog. Checks in any amount will be appreciated and may be made out to KRMA-U.S. Partners Ltd., and mailed to Lois Stovall. Leave a message here or my e-mail at lois@congregationsalive.com and I’ll send you mailing information.